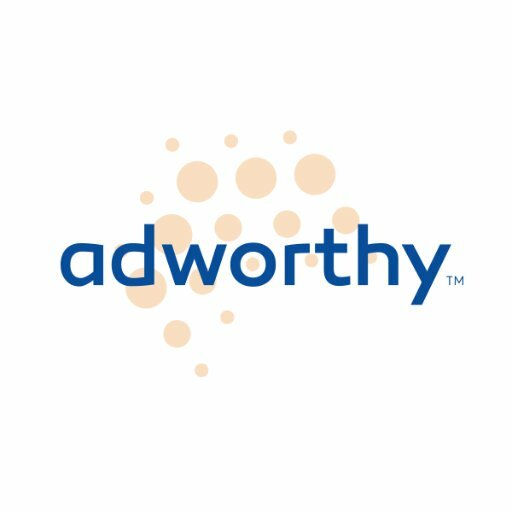 Adworthy is a services and software company that is engaged principally in two lines of business: they generate superior ROI from optimizing various forms of paid advertising and identify longer-term market gains by converting raw market intelligence into actionable insights. Adivore® Alerts provides mission critical actionable alerts for your Google AdWords, Bing Ads and Google & Bing Shopping campaigns. Create your alerts at the most granular keyword or product levels with campaign performance and all channel geo performance KPIs readily available for analysis. All email or text alerts are fully customizable with recommended actions also included, making the job of initiating necessary actions as simple as possible. An intelligent, user customizable action alert system. Adivore® Alerts is integrated with the Adivore® Optimization Dashboard, making your actionable alerts content part of the main reporting stream. The most advanced paid search campaign building tool, Adivore® Builder is designed to refine keyword campaign content using the performance metrics from proven PPC search terms. For over five years, campaigns deployed using Adivore® Builder have averaged over 400% ROAS in a testing environment where cost savings are continuously reallocated to new market expansion. Builder is uniquely able to support the hyper-targeting required to drastically reduce cost and surface otherwise impossible to find opportunities in exponential revenue generation. Using Adworthy's proprietary ListeningPost™ campaign targeting and reporting structure, Adivore® Builder not only listens to the voice of the market, capturing the most granular market intelligence, it also generates the maximum ROI from your campaigns by reducing CPCs as much as 70% and opening up new markets for your keywords. For top quality custom reports, agencies and brands can save hundreds of hours a month in data analysis and report design by using Adivore® Comms. Comms is an easy-to-use, WordPress® plug-in that allows you to generate top-quality automated reports in a fraction of the time. Integrated with Google AdWords, Bing Ads, Google Analytics, Facebook Ads, and Amazon Sponsored Ads, Adivore® Comms gives you a plug ‘n play platform that incorporates your data directly into the report narrative. Adivore® Merchant Alerts’ features and functionality focus solely on streamlining optimization for e-commerce clients running Product Listing Ads (PLA) campaigns on Google & Bing. Built from the ground up to support the highly demanding, metric sensitive e-commerce campaign managers, Merchant Alerts acts as an always-on 24/7 assistant that measures and alerts on product, brand and category performance based on criteria that you or your agency specify. The Adivore® Optimization Dashboard is not just another dashboard. Specifically designed to generate and display performance optimization metrics from AdWords, Bing Ads and Facebook Ads, it also amplifies the campaign performance results with cross channel performance metrics from Google Analytics and other web analytics sources. Adivore® Dashboard visualizations can be custom tailored to your specific KPIs to show you only views you need to see. Manage by the numbers with Adivore® Reporting Dashboard. Adworthy’s unique approach to transparent campaign measurement means that all stakeholders (in both Marketing and other departments) within an organization have a top-down view based on actual business segments. The result for marketers & managers is less time spent on tailoring reporting up the chain and increased ROI focus & campaign alignment to the segments that matter most to your business. Wordivore® Brand Perceptor is a unique VOC application that scores outreach brand messaging using proprietary algorithms derived from user search queries and pay-per-click search term performance results. The application then allows for the creation and scoring of test surveys, email messages, direct mail or TV and radio ad transcripts for distribution, approval, and ultimately dissemination. Wordivore® Brand Perceptor provides unique actionable intelligence to users and beneficiaries looking to improve survey intelligence, email and direct mail performance and the alignment any outreach brand messaging with the Voice of Customer. Wordivore® Voice is a voice of customer (VoC) market intelligence application that identifies key sales and messaging opportunities using data from paid, owned and earned sources for your brand as well as competitors. The Sales department uses Voice’s market intelligence to identify both overall market demand as well as specific product sales opportunities. Marketing uses Voice to align content and messaging across channels and refine paid media campaigns with highly granular targeting both for better listening and to generate maximum campaign ROI. Wordivore® Voice allows Corporate Communications to have direct insight into the language of both pre-customers and customers alike, enabling message clarity for any audience. The Wordivore® Voice of Customer Intelligence Dashboard is specifically designed to display trend analyses as well as alert content and reporting from the individual Wordivore® market intelligence or SEO applications. Customize the reporting and analyses for your various stakeholders in Marketing, Sales, Communication and any area across the enterprise where market intelligence can be deployed.